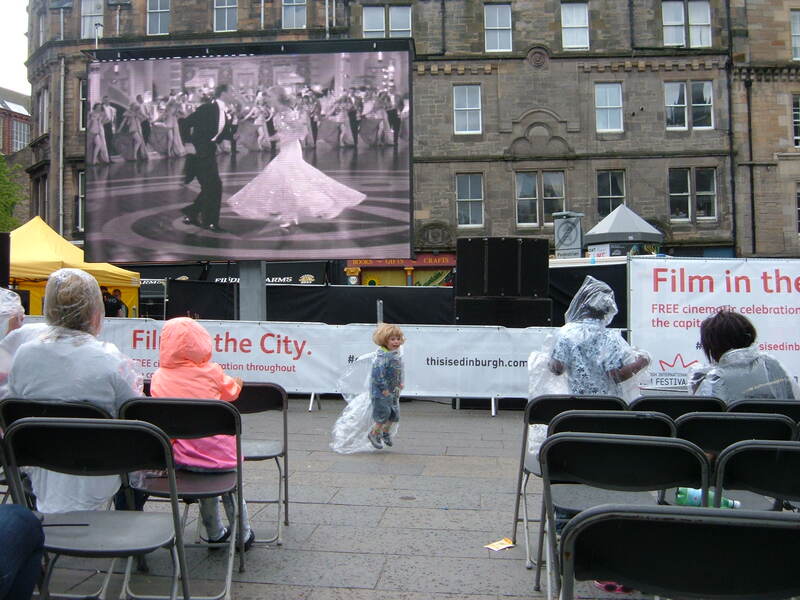 TOP HAT, screened outdoors in Edinburgh’s Grassmarket as part of a day of dance-themed screenings, a preliminary to Edinburgh International Film Festival. The vid-screen held up pretty well in the bright sunshine, and the audience held up pretty well in the rain — we had both. 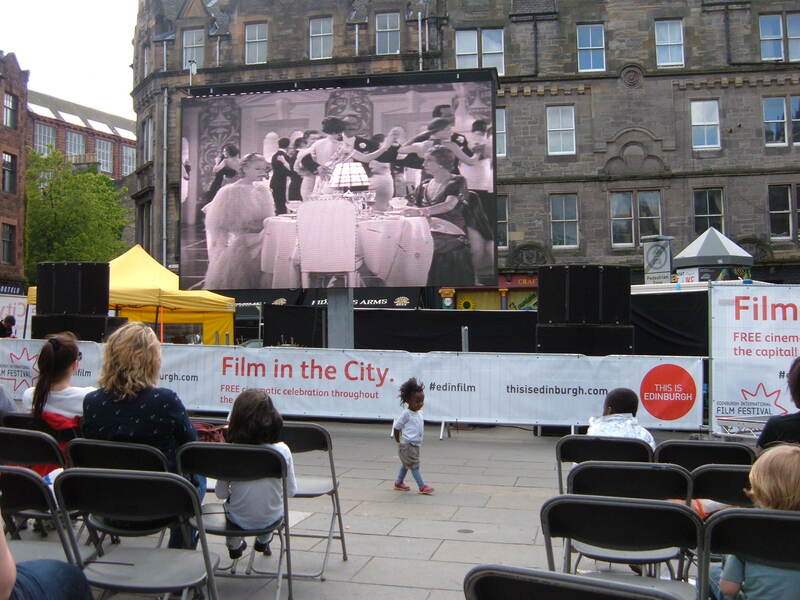 I don’t THINK I’ve watched a movie outside in the rain since a programme of Laurel & Hardy shorts at the Ross Bandstand in Princes Street Gardens when I was probably nineteen. One thing about that experience that sticks in my mind was that L&H hadn’t been on TV for years at that point — a copyright dispute? 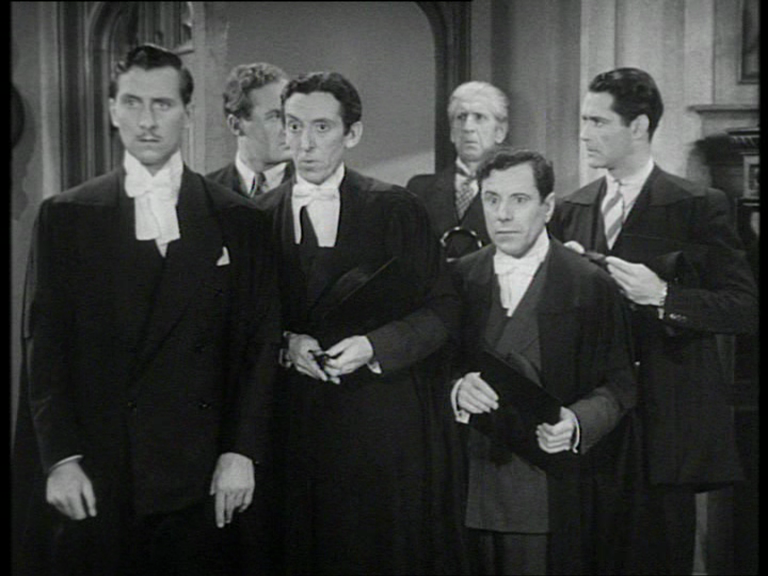 — and so it had the effect of an astonishing rediscovery — not of the comedians, who were ingrained upon my memory, but of the sensation of laughing until one was in physical distress. TOP HAT seemed well-suited to this rather unconventional environment. It wasn’t remotely like a cinema — people drifted in and out (it was free), chatted away, and kids danced in front of the screen. The last item I approve of — I have fond memories of kids doing this at CORALINE, jigging about with the flying terriers in the end credits sequence. (Fiona and I joined them and experienced what 3D is like when you’re inside it. Recommended.) Not every film would be improved by kids dancing about. LET US PREY, the horror film Fiona & I had a hand in, will screen later in the Fest and I don’t think cavorting bairns would really suit that one. But anything less explicit that DAWN OF THE DEAD would probably be OK.
TOP HAT is delightful, of course — it has precisely one clever plot twist (just like THE GAY DIVORCEE) and otherwise milks a single corny situation for its entire runtime (just like THE GAY DIVORCEE) and is none the worse for it. By some quirk of the video presentation, I was unable to see the loose feathers detaching from Ginger’s gown during the Cheek to Cheek routine, but that meant I became all the more aware of how beautifully the dress moves.